Hojun Song DS1SBO is a cutting-edge, tech-obsessed Korean artist breaking boundaries with his passion for telling stories through technology. He hopes to instill a sense of empowerment in the world, through the DIY nature and uplifting undertones in each of his works. At univeristy he studied Electrical Engineering and Computer Science after which he started working on his art. After years of research he has found that it is indeed possible to launch and operate a personal satellite at a fairly reasonable price. For the past six years he has been exploring ways to integrate the concept of a personal satellite project into cultural contexts and into his artistic practice. Hojun Song’s first satellite OSSI will take off on a Soyuz rocket from Baikonour in Kazakhstan this August. He obtained his rocket launch through a new French launch brokerage company NovaNano http://www.novanano.com/. In this video he shares his story, his struggles and his plans. 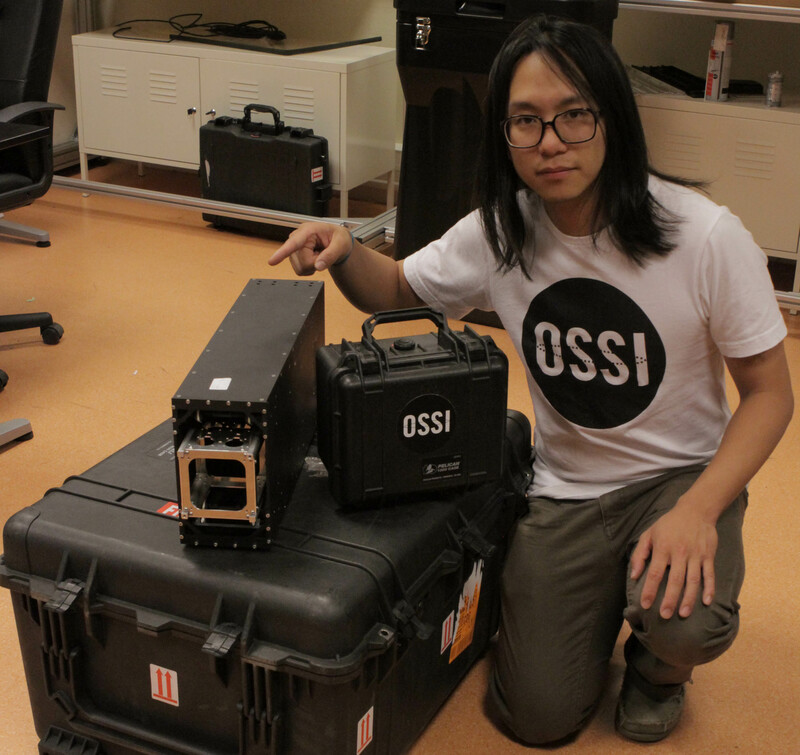 The OSSI CubeSat should be delivered on May 31 in preperation for its launch on August 31. The team are working hard to finish building the satellite.